Who else wants these tested and proven reliable Industrial Bag Filter Housing? Almost all bag filter vessel sizes are in-stock and ready to ship to you and your facility. 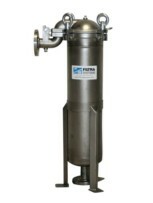 Call 248-919-6119 For Help Getting A Perfect Bag Filter Housing For Your Manufacturing Facility. 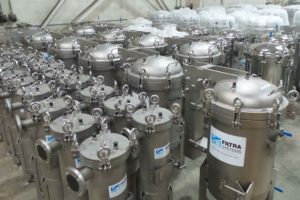 For almost 40 years, Filtra-Systems has designed, engineered, manufactured, tested and proven many, many, bag filter housing and systems. It’s fair to say each filter is loaded with options for you, your industry and your specific filtration goals. Our team of expert engineers is on your side. All of Filtra-Systems is on your side. Our goal is to help you get the perfect bag filter housing, bag filter media and system for your manufacturing facility that confidently, reliably and measurably performs as promised. Simply call us now, 248-919-6119, we’ll ask you a few questions and help you find the perfect industrial bag filter system that meets all your goals and requirements. FSC1 bag filter housings are great for use in a wide variety of applications including water, coolant, beer, wine & spirit production, and that's just the tip of the iceberg. Even better, no tools are needed because the V-Clamp lids are designed for quick and easy bag change-outs. Perfect-fit bag sealing is 100% guaranteed with our proprietary bag clamping mechanism. By the way, FSC1 filter vessels fit industry standard size #2 bags. 304 stainless steel housings are stock items, 316L stainless steel is also available. 2” and 3” threaded connections are standard. FSC2 bag filter housings are first-rate for your use in an extensive variety of applications including water, coolant, beer, wine & spirit production, and many many more applications. These FSC2 housings will work perfectly for you with either standard or pleated bags and includes perforated SS bag support basket. Baskets available with R (round) bottom for standard bags or F (flat) bottom for pleated bags. Call 248-919-6119 for help getting the right housing for your application also to arrange faster shipping if you are in a hurry. 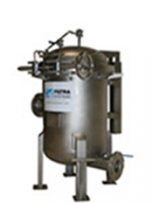 FSCS Single Bag Filter Housings are ideal for use in high-pressure applications. The robust designed four point and swing bolt lids guarantee that vessels are safe to use at pressures up to 150 psi. These housings are built with durable carbon steel or stainless steel filter housing construction and utilize eye bolts to close the housing for high-pressure operation. Many clients call and get these filter housings to clean water, coolant and oil. Call now, 248-919-6119, we'd love to help you avoid getting the wrong housing and filters for your application. FSCT Single Bag Filter Housings are used in more demanding applications where high temperatures and pressures are required. In fact, developed for easy opening and closing, the FSCT's cover has an integrated handle in the lid and is attached to a swing bolt. Also, the gooseneck inlet configuration allows for a smooth flow throughout the vessel. Vessel lids are designed to seal directly onto the bag to prevent fluid bypass. All FSCT bag filter housings fit size #2 filter bags and we have them in stock for you now, simply call 248-919-6119. FSQC Multi Bag Filter Housings are regularly used in high flow applications when minimizing downtime is very important. It's worth noting, these Multi-Bag Filter housings with easy access, spring-balanced (for easy one hand opening), quick-change lids provide high liquid flow rates, with minimum downtime for bag change-outs. In fact, these Quick-Change clamps allow you to change bags fast, while also having a high-pressure operation. We'd love to help you get the perfect size housing for your application. Multi-Bag Filter vessels with swing bolt lids are used when high liquid flow rates, up to 1200 gpm, are required. 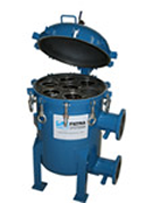 Many clients use these multi-bag filter housings in water and oil applications. 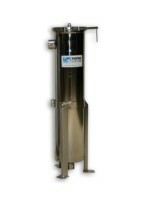 FSSB bag filter housings are usually in-stock with up to 12 bags per vessel, which will get you higher flow rates and less downtime for bag changes. 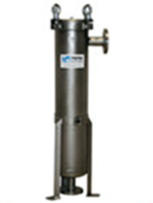 These FSSB series filter vessels are rated 150 psig working pressure and use industry standard #2 filter bags which we always have on hand and ready to ship to you.